Missi Wust is a 2003 Huntington University graduate from Rochester, Indiana. After receiving her Bachelor of Music degree in choral music education, she took on a wide variety of occupations, including work as an adjunct faculty member and staff accompanist for Huntington University. She joined the advancement and alumni team in 2018 as the Advancement and Alumni Office Assistant after five years as an office manager for a garage door company. 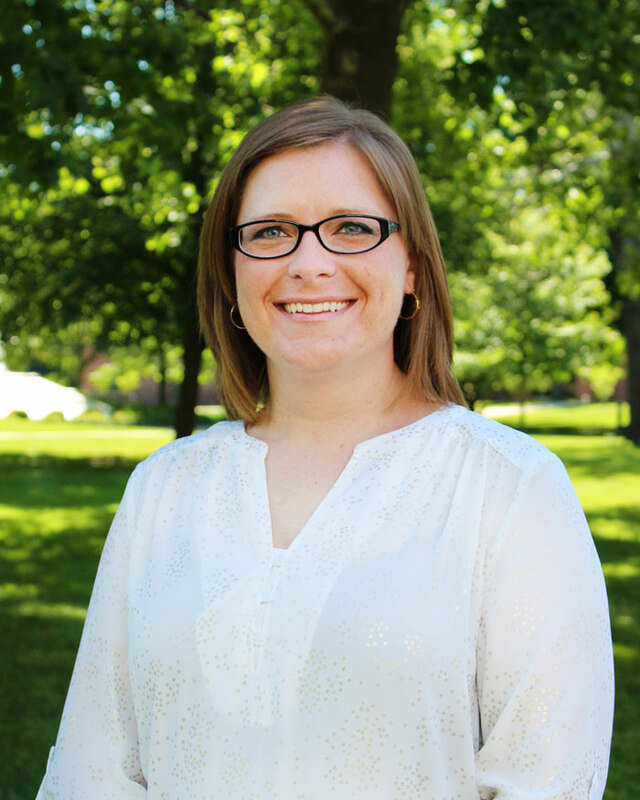 In her current role at Huntington University, Missi plans events and provides support for both the advancement staff and the alumni director. She also assists in endeavors for promoting and strengthening the Forester Fund. Missi lives in Huntington with her husband Andrew (a firefighter and assistant Huntington University men’s soccer coach), their son, Noah, and their dog. In her spare time, Missi enjoys camping, cooking, and baking.